3QT62386 ParkingEye v Arora. Claim dismissed for failure to obey directions. ParkingEye lost a case which had been stayed since December. During the original hearing District Judge Jenkins, who had already ruled twice that ParkingEye did not have standing to bring previous cases, stayed the case to allow ParkingEye time to consider whether to substitute the landowner as claimant, and to potentially hear similar cases en bloc. However ParkingEye chose to ignore the judge's clear directions, and instead sent him a letter containing the transcript of VCS v HMRC. Worse still, ParkingEye chose to lie in other cases, telling them that Judge Jenkin's previous decisions could not be relied on because he had scheduled a new hearing to decide the issue. This was a clear misrepresentation of the facts; the reason the case was stayed was to decide whether to substitue the landowner as claimant. Despite writing to Rachel Ledson, head of ParkingEye's legal department, ParkingEye continued to attempt to deceive the courts. ParkingEye missed the deadline to comply with the directions, but the defendant was left in the dark as to what was happening. Despite many emails and phone calls to the court, no information was forthcoming. Finally a letter was received from the court asking to attend for judgment on the case. This was a little worrying as so far the defendant had not had a chance to present any defence. The hope was therefore that judgment could only be for the defendant, but nothing could of course be sure. ParkingEye's representative from LPC Law had no information either. He was sent to the court with no notes of information and was there just as an observer to note the judgment. During the hearing Judge Jenkins explained that the letter sent out was misleading. There was another stayed case he was hearing today, where the judgment was being given. He ran through the chronology of this case, explaining that ParkingEye had not complied with his directions and that he was therefore striking the case out. The defendant was given the maximum allowed costs of £90. ParkingEye have wasted a lot of money on this case; two LPC Law fees, defendant's expenses, filing fee and hearing fee, together with time and energy spent assembling their template responses, demolishing a small rainforest to print them out and associated postage costs. Possibly a bigger cost to them is their loss of reputation with judges. ParkingEye seem to beleive that the rules and expected behaviours of the court system does not apply to them. They ignored the judge's directions in ParkingEye v Martin and again here. They have in the past filed tens of thousands of claims with non-compliant Letters Before Claim. They file new legal arguments willy-nilly without filing the required forms or paying a fee, despite warning defendants not to do the same. They conduct hearings by ambush, regularly attempting to produce new documents in court on the day of the hearing. They tick the box on the claim form saying they do not want mediation, then claim the opposite. All this is no doubt being noted by the judiciary, and is not likely to win them friends in the courtroom. Meanwhile the thorny question of ParkingEye's right to bring a claim is still in issue. It seems that in some car parks where ParkingEye pay for the right to enforce charges, they may be viewed as principal. In these car parks ParkingEye do not provide their usual web interface to the landowner showing how many charges have been issues and paid, and do not collect charges on behalf of the landowner. However, in the vast majority of car parks, ParkingEye act as agent collecting the charges on behalf of the landowner. They provide a web interface showing the status of charges, and issue VAT only invoices to the landowner. In these car parks, the judgment in ParkingEye v Somerfield applies where the judges found that ParkingEye did not have the right to bring claims in their own name. This is a court of appeal judgment, and therefore binding on lower courts. The Prankster will write a blog piece on this in the near future. In Romania, bothering about bollards is optional. Luckily the bollard makers know this, so they bend out of the way if a careless motorist accidentally parks on them. The Prankster spotted this fine example of parking on his way back from a meal, where incidentally a whole wheelbarrow of food costs just £12. 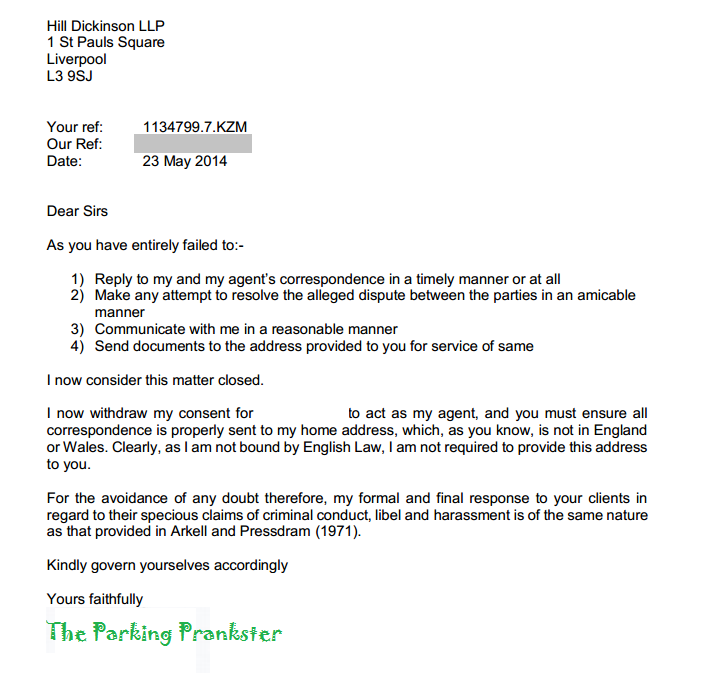 ParkingEye have now sent sent 3 love letters to The Parking Prankster, via their legal growl-tigers, Hill Dickinson. The Prankster has replied to all three, fully rebuffing them. However, ParkingEye have never replied. The first letter concerned a matter ParkingEye stated was a police matter, but they have never provided any crime reference or indeed any details. The second concerned a trademark, which on investigation did not appear to belong to the complainant. The third contained allegations of defamation. However, ParkingEye knew full well that all The Prankster's statements were true, which of course is a defence against defamation. It is clear therefore that these are not legitimate concerns of ParkingEye, but merely a campaign to bully and harass The Prankster, in an attempt to intimidate him and cause him to rack up legal costs. In light of ParkingEye's unpleasant habit of firing off letters without ever replying to The Prankster, The Prankster has finally asked ParkingEye to cease and desist. Should ParkingEye wish to communicate further with The Prankster, he reminds them he does not live or work in England and is not subject to English law. 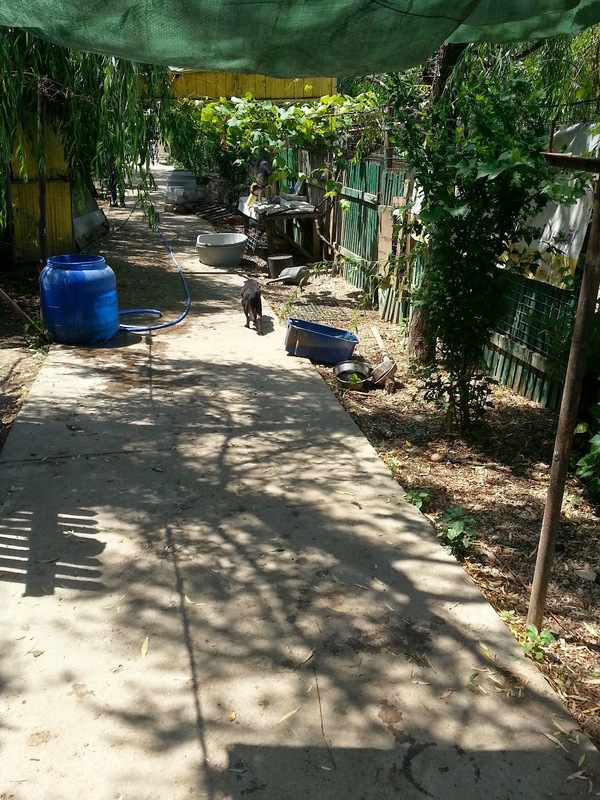 As a matter of fact, he is currently in Romania, helping co-ordinate activities for several dog-rescue charities. No doubt ParkingEye can track him down if they ever want to apologise. After 8 months of wrangling, consumer pressure has finally resulted in a change to the Independent Parking Committee's (IPC) appeals procedure. Originally the appeals procedure required the registered keeper to grass up the identity of the driver. There was no apparent good reason for this, and the danger was that parking companies could make a Norwich Pharmaceutical Order to the IPC, forcing them to disclose driver identities in bulk. The DVLA therefore took up the fight on behalf of the motorist and after some negotiation, eventually succeeded in agreeing the change. The IPC has not yet had a chance to update its appeal documentation. The IPC has proved interesting competition for the BPA Ltd, and its trailblazing attitude has already forced changes to the BPA Ltd code of practice; the BPA Ltd are playing catch-up in many situations. 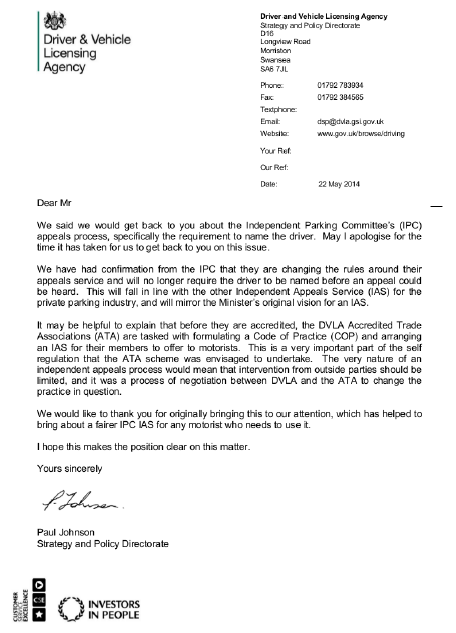 In a recent DVLA consumer forum meeting the IPC gave the opinion that running a business on charges for breach of contract was unsustainable, although the DVLA seem to have conveniently edited that part out of the minutes. However, the one area The Prankster has strong reservations about is the IPC appeals procedure. The Prankster recognises it is what it is in order to keep costs down, but believes that this has resulted in the process being biased too heavily towards the operator. Appeals must be made in writing and received by the Appeals Service within 21 days of rejection by the Operator. If you wish to appeal against a parking charge, please download a copy of the Appeal Form and submit it along with any supporting evidence. Appeals will not be accepted unless they are accompanied by a properly completed appeal form. You can download a copy of the Appeal form using the link at the top of this page. When you submit your appeal it is important that you provide ALL of the grounds that you wish to rely upon and ALL of the evidence that supports your case along with your appeal form. Once this is received by the IPC, it will be presented to the Operator who will have the opportunity to respond. The Adjudicator will then consider the case on what is before him and a decision made on the merits. You will not be able to present additional information to the adjudicator after the IPC has received your appeal form. You will note that the appeal form contains a declaration that the information within it is true to the best of your knowledge and belief. This MUST be signed and dated by the person making the appeal or it will not be accepted. Appeals will only be accepted from the driver of the vehicle or from the registered keeper in limited circumstances. Third parties cannot appeal on behalf of the keeper or driver. The Prankster considers it a fundamental injustice and a clear bias to the procedure that the Operator gets to see the motorist's evidence, but the motorist does not get to see, and thereafter make representations about, the Operator's evidence. As an example, the fact that this does happen in the rival POPLA process has exposed many irregularities. The restriction hat a third party cannot appeal on behalf of the keeper or drive also goes against the fundamentals of justice, where a person can seek out a more qualified person the represent them if they desire. If this happened in all walks of life, the legal profession would become redundant at a stroke. It is also confusing that the BPA appeal deadline is 28 days, while the IPC is 21 days. The Prankster believes that having two fundamentally different appeals processes for private parking is confusing to the motorist, and urges the DVLA to take action to align the two. 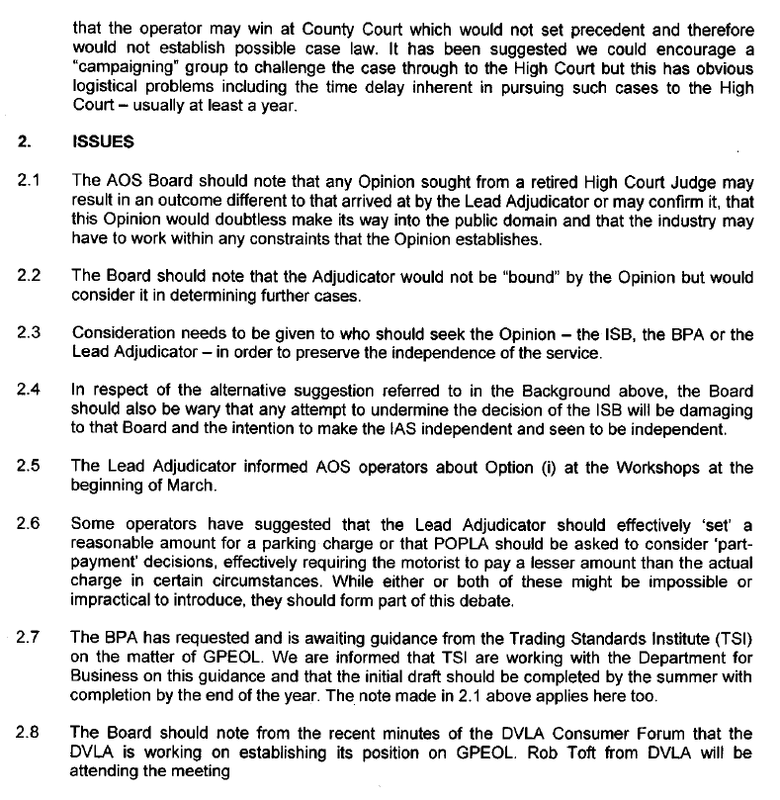 The meetings of the 30th January 2014 BPA Ltd AOS Board meeting shows that the AOS board tried to persuade Nicola Mullany, Chair of the Independent Appeals Service board to look at POPLAs ruling on GPEOL (Genuine Pre-Estimate of Loss) in light of Country Court rulings. We can now see that ParkingEye's strategy was to instigate a large number of court cases to be used as loss leaders. By paying for trained advocates to fight unrepresented motorists they could engineer a disproportionate amount of court wins. These could then be used to try and force a change at POPLA and the BPA. It remains to be seen whether this strategy has worked, especially in the light that all of their previous court results regarding GPEOL are suspect. ParkingEye provided false information to the courts, claiming that the cost per ticket issued was £53 (or sometimes £55) whereas their accounts and DVLA records show it to be a maximum of around £17. In recent cases, after pressure from The Prankster, Bargepole and others, ParkingEye have finally stopped making this false claim. The IAS, in light of the January meeting, sent a proposal to the AOS Board that they seek the opinion of a retired High Court judge. POPLA themselves sent an alternate proposal that operators could ignore POPLA decisions and take motorists to court if they wanted. Other options suggested by operators were that POPLA could set a reduced charge. Steve Clarke of the BPA Ltd summarised this in a report for the April AOS board meeting. The AOS rejected all these proposals, as can be seen from the April minutes. 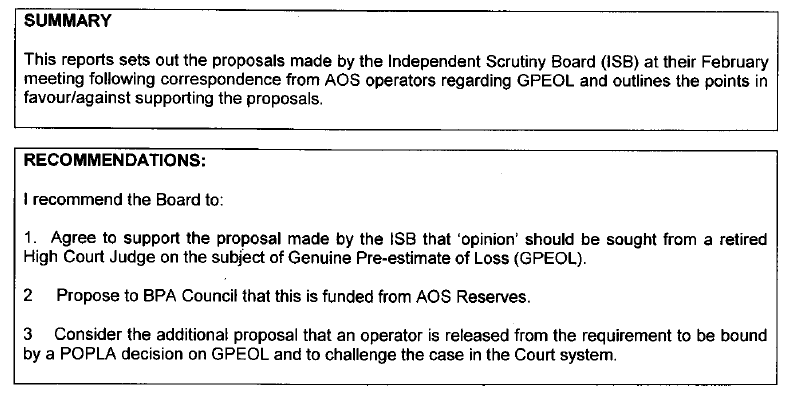 As can be seen, they rejected all proposals at the current time, preferring not to shell out £10k to a judge who might not have agreed with them, and decided to wait for the Trading Standards Institute report instead. The barrister helping Trading Standards with their report is Jonathan Kirk, QC. Given that he also represents and advises parking companies, The Prankster questions whether there is a conflict of interests here, and that in order to avoid any hint of impropriety perhaps a different QC, or a panel of QCs, should be involved instead. In the meantime it looks like the BPA have decided to change their code of practice instead, and rewrite clause 19.5 which requires any charge to be a genuine pre-estimate of loss. The judgment for the Cambridge test case was delivered by HHJ Moloney today in Southend at 10:00am. He ruled for ParkingEye in both cases, explaining his judgement as follows. The charges WERE penalties, but were commercially justified. There WAS a contract in a free car park. The consideration from the motorist was the promise to leave after 2 hours. This is a very interesting decision because it opens the doors for other industries to start charging what they like as penalties. For instance, medical booking agencies representing GP's could charging £100 for not attending appointments. Hotel booking agents could charge 20 times the room rate for a failure to turn up or cancel on time. The legal arguments would be identical. However, the BPA code of practice still requires that charges be a genuine pre-estimate of loss, and so any parking company must still abide by this or risk loss of access to the DVLA database. HHJ Moloney admitted he was trailblazing here. This is the first judgment where consumers have been ruled against on the grounds of commercial justification. The decision that parking chaos would result if these charges were not allowed is surprising, and flies in the face of evidence from other car parks where lower charges are imposed and chaos has not resulted. No hard evidence was offered from either side that the removal of ParkingEye would result in a loss of income to the landowner. The Prankster does know that B & Q terminated the ParkingEye contract, and suspects that aggressive enforcement was the overriding cause. The Prankster suspects B & Q were happy to pay ParkingEye's penalty clause to terminate early, and estimates that they would not have done this unless they lost huge sums - perhaps even 6 figures, due to losing customers who then never returned and shopped elsewhere. Certainly one of the defendants in this case has never used the retail park again, and The Prankster knows of other people who have paid ParkingEye's penalty charges and never returned to the shops. ParkingEye's gain is therefore the retailers loss. The decision that ParkingEye was the principal was surprising. However HHJ Moloney's reasoning is interesting and it is clear that this is a special case, only relating to this car park and others where ParkingEye pay £1,000 a week. Therefore, in most other claims made by ParkingEye, and indeed perhaps other car park operators, the decision of this case is easily distinguished. Thus, this might not turn out to be the 'test case' that HHJ Moloney hoped for; instead a judgment only applicable to a few car parks. 5.7 Here, it appears to me that the financial provisions of this contract give the best clue to its real nature so far as the question of principal or agent [...] ParkingEye is paying the landowner for the valuable privilege of being able to run a car park for ParkingEye's own profit. Moreover, as the Claimant points out, [...] the landlord does not take any percentage or other direct share in the sums received by ParkingEye and is not even entitled to an account of them. 3) In most car parks, the landowner is entitled to an account of the charges, and indeed is required to have an account of them. This can be shown in two ways. Firstly, ParkingEye supply their customers with a web logon, where they can see the charges issued. The Prankster has shown screenshots of these before in previous blogs. This is normally detailed in clause 8.1 of their standard contract. It is not known why HHJ Moloney missed this clause. Perhaps it was redacted in the contract given to him, or perhaps this site has a different contract to the usual. The second way the landowner is entitled to an account of the charges is more fundamental. On most of their sites ParkingEye collect the charge for breach of contract as an agent on behalf of the landowner. They then keep this money as a service charge, but this gives rise to a VAT liability. ParkingEye therefore raise a VAT only invoice to the customer. Thus, the customer knows exactly how much money ParkingEye is collecting every month, because they have to pay VAT on it. This is detailed in clause 3.11 of ParkingEye's standard contract. It seems then that this decision is of limited use to ParkingEye. It is only applicable to a small minority of car parks and moreover it does clearly establish that the charges are penalties. The fact that there was found to be commercial justification in this case can be challenged on legal grounds in other cases because this is a still a small claims decision with no previous consumer-based case law and is not binding. It can also be challenged factually, since it is perfectly possible to run a car park business in other ways which do not require penalty charges. The Prankster will keep his eye on developments. 3JD05392 ParkingEye v Mrs S (16/05/2014 Scarborough). DJ Neaves dismissed the claim as the claimant's representative had no right of audience. This was a second hearing. The first was adjourned because there was no time to hear the claim. We arrived at court to find that there had been a previous hearing at 12.30pm, apparently to read the case. We were due in at 2pm. In truth we were "bricking it", after all, Court is a bit of a lottery. We even forgot to bring a pen & paper, and note the LPC lady's name. We walked into court and sat down. The judge confirmed our names, along with the smug LPC Lady, who had a lever arch file nearly a foot thick. Perhaps they are learning their lesson and bringing transcripts. I was quietly watching her flick through , noticing that she too had the redacted contract, so I thought "Here we go, I'll get her on that." Before we even said a word, the judge asked the LPC lady in what capacity she was there. She looked a little confused and stated that she was there under instruction from her client. Apparently she can be there in one of two capacities, she obviously chose the wrong one!! The judge then stated that this wasn't allowed under CPR regulations and therefore there was no evidence to be able to be presented and dismissed the claim. She then asked if she could be there in the other capacity. The Judge then said "you can't have two bites of the cherry and I have already dismissed the claim." She then stated that her capacity has been allowed in other courts. "That maybe so, but not in my Court" said the Judge. "Has the defendant incurred any travel costs?" asked the Judge. Because the case had been previously adjourned due to no time, we asked if we could claim costs for the two days. The Judge said "yes" so we handed over two tickets, one for £2.80 and one for £5.00. "This is ParkingEye's Car Park" said the Judge, "How ironic!" The LPC lady then piped up and said "It wasn't my clients fault that the case had been adjourned, so why are you allowing this?" to which the Judge stated "It wasn't the defendants fault either, and because the claim has been dismissed, costs are allowed and they have been carried over from the previous adjournment so I am allowing it"
We then stated the defendants loss of earnings for the two days and got that as well. I ,as lay-rep was going to ask for my costs but thought better of it; after all the Judge had done us proud and I didn't want to push it, a win is a win. "Here's your two tickets back" said the Judge, "I hope it wasn't a pay & display car park, otherwise I maybe seeing you again in the near future". "Not bloody likely" I whispered to him as I took the tickets back. Then we legged it and left them all to it. It seems the claim was dismissed because the LPC Law lady did not have the 'right of audience' - the right to speak to the court. Without that right there was nobody to speak on ParkingEye's behalf and therefore the claim was dismissed. The right of audience is an important concept. Only certain people can speak at court, and this is a privilege maintained by the court so that in the case of wrong-doing, the court can find somebody to punish. This is explained further in an excellent article by DJ Hill, who also sits at Scarborough. It may be that DJ Neaves has found time to read DJ Hill's article and discuss it with him at some point in the past. The article suggests that if a person is not a qualified solicitor or barrister or not employed by a firm of solicitors then there is no right of audience. The status of most LPC Law advocates is believed to be self-employed people with some form of legal qualification. However, they are not directly employed by LPC Law, but are simply paid an agreed fee to take on each case. Unless they are therefore a solicitor or barrister in their own right, there is therefore not automatic right of audience. In the small claims track, anyone can be a lay representative with rights of audience. However, the party they are representing must be present. As ParkingEye never send anyone to court, this criteria is not satisfied. The Prankster admits he was informed of this before, but was sceptical. He tips his hat to the person who told him this - you know who you are. If you have a hearing with ParkingEye in the near future, you should bring this matter to the court's attention. This is not a silver bullet; in a small claims hearing the Judge has ultimate discretion and can override the rules if they wish, and have good reason. However, if your court is near Scarborough, judges may well have a mind to follow the precedent set in this case. ParkingEye have stated they will not be attending court, but will be sending a representative from LPC Law. In 3JD05392 ParkingEye v Mrs S (16/05/2014 Scarborough). DJ Neaves found that the LPC Law representative was not employed by LPC Law, but was a self-employed person paid a fee for attending the hearing. He found they did not have right of audience and the claim was dismissed. Furthermore, by not sending a representative ParkingEye prevent myself and the court from questioning them. The Parking Prankster has updated his sample defence, which is available at this web page. There are now two slightly different defences, one for free car parks and one for paid car parks. The defences have been updated to take into account recent developments, such as Judge Cross ruling that VCS v HMRC is not applicable to the ParkingEye business model, and Judge Jones ruling that a contract does not exist in a free car park. The defence has also been updated to take into account that ParkingEye's new 'Explanation of charge' document has removed the false statement that the charge per ticket issued was £53/£55. The evidence has been updated too, with some older items removed, and the addition of POPLA's special ruling that ParkingEye's charges are not valid, the addition of the 2012/13 ParkingEye accounts, and and updated DVLA keeper request. A history of ParkingEye's different 'Explanation of Charges' is also included. The cases referred to, where transcripts are available, can also be downloaded. The sample defence should really only be used in an emergency. In most cases you should personalise it, because in large numbers of cases other factors also apply. However, if the filing deadline is upon you, then download and file this defence. The Prankster is in the middle of a substantial update of his guides, which will also take these new cases into account. The Prankster has seen the proposed signage for car parks in the ownership of the Northern Devon Healthcare NHS Trust. The charge for breaching the Terms and Conditions is £12, rising to £20 after 14 days. The Prankster believes this is a realistic cost of pursuing the charge, given the costs of the unpaid ticket, DVLA costs, postage, etc. There may be some legal loophole available to allow motorists to wriggle out, but frankly, for the sake of £12 any motorist would have to consider whether it was worth the time and effort to avoid payment. The motorist could of course pay the Parking Ticket Appeals Service £16 to take care of the ticket on their behalf. The Prankster believes the appeals service would be silly not to pay £12 and pocket the £4. Total Parking Solutions have no incentive in this situation to issue vast numbers of tickets. Indeed, as they are likely to make a small overall loss on issuing tickets, they have every incentive to create a car parking system which makes it as easy as possible for motorists to comply. The Prankster notes that in the Cambridge Test case held recently, HHJ Moloney wondered what level of charge was necessary to deter motorists from breaking parking conditions.If a charge of £50 or even £10 was sufficient to deter, he mused, then a charge of £85 would almost certainly be a penalty. ParkingEye tried to argue there would be parking chaos if they were not allowed to charge £85. 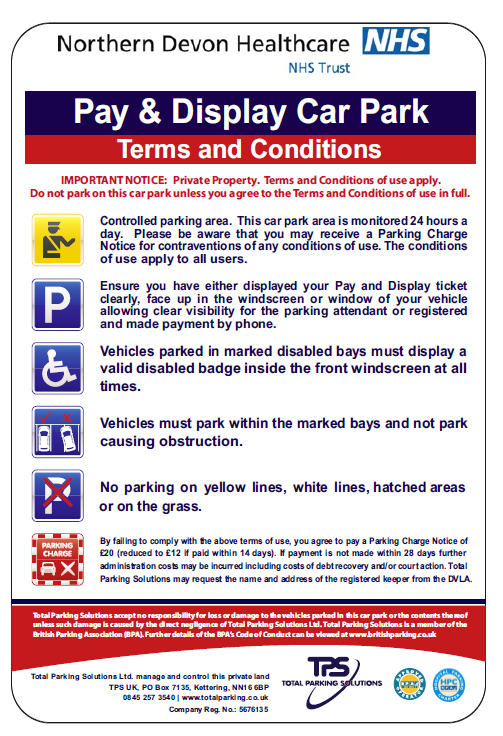 It seems like Total Parking Solutions and Northern Devon Healthcare NHS Trust feel that a charge of £12 is enough to encourage motorist to obey the parking requirements, and that chaos will not ensue. The system will be going live in around 3 weeks on one site and once tested will be rolled out to the remaining healthcare centres. The Prankster sees this as an important test case, and if landowner, motorist and parking company are all happy, a sustainable model for car parks in the future. Other operators offer their services for free to landowners, or even pay to be allowed to enforce parking. This leads to the situation where the operator tries to issue as many tickets as possible, creates systems which are artificially hard to comply with, and labyrinth appeal systems which are unfair to motorists. This leads to dissatisfaction not only from the motorists, but also from the retail outlets themselves as they lose business to other places with less draconian parking enforcement regimes. As an example of a system which is hard to comply with, The Prankster chooses today not to mention ParkingEye, whose hard to operate systems have been detailed before, but instead highlights Premier Parking Solutions. At Hull Docks they operate a system where the motorist has to display two tickets in their car window. The tickets have no adhesive backing. The Prankster has seen many complaints on forums where motorists have either only displayed one ticket, or have had a ticket blown off the window onto the floor. Premier Parking Solutions argue that motorists must display both tickets. "This is essential in order to prevent more than one car using the separate ticket and sales receipt to try and show payment." This is false reasoning. 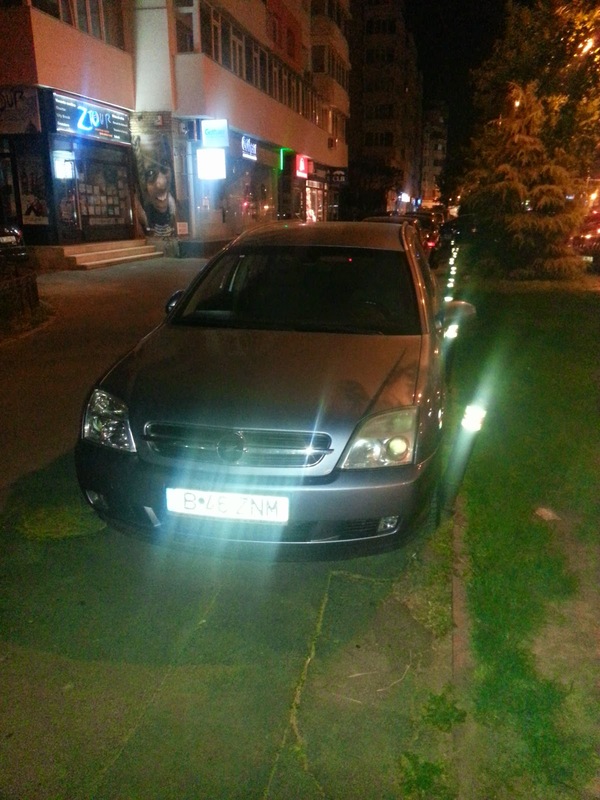 Premier Parking Solutions are under a duty of care to motorists and the landowner to mitigate losses. If the systems of two tickets is not working, then they are not allowed to milk this for all this is worth, but instead should explore alternative solutions. The Prankster suggest using a system which only issues one ticket, or to simply require the ticket to be displayed and not the receipt. Many other car parks successfully do this. Premier Parking Solutions also state the following. Tickets without an adhesive back are not a hindrance to parking. They are used by many councils and private companies alike including Humberside council and are industry standard. Hull Dock, like any coastal location, is likely to be more windy than your average car park. If Premier Parking Solutions have problems with tickets in this location then an adhesive back is indeed something they should be looking at. Using two tickets doubles the chance that one will blow to the floor. This is a prime example of Premier Parkng Solutions trying to discharge responsibility by hiding behind the regulations, while in reality coining it in from motorists. Small changes are all that are needed, but of course, this will reduce their income from charges and hit their profits. 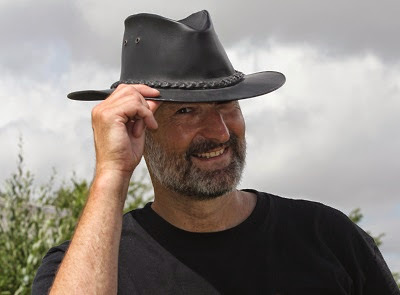 The Parking Prankster has received an email from the MoneySavingExpert team explaining that they have removed Jonathan Langham's name from post #15 in this thread on MoneySavingExpert. The Prankster has no problem with this; he respects the work the forum team do, and that the forum has rules which ask that names not be identified. He will try to remember not to name names from now on, on MoneySavingExpert, although of course on The Parking Prankster blog and website The Prankster has full editorial control and can mention Jonathan Langham's name whenever it is relevant and in the public interest. He does find it a little strange that the forum team have not removed Jonathan Langham's name from the quote in post #17. He is also mentioned in post #9, along with a large number of other ParkingEye employees. A large number of other posts in the thread also mention ParkingEye employee names. Perhaps the forum team are intending to redact all these, but are just working through a backlog of editing requests from ParkingEye, Hill Dickinson, or some other body. Of course, there is another possible explanation; it might be Jonathan Langham himself who asked for his name to be redacted. Jonathan Langham confirmed in a telephone call this week that he is leaving ParkingEye. The Prankster wishes him well in his new job. It may be that he finds it slightly embarrassing that his name comes up confirming his porky pies as #4 in Google searches. That reminds The Prankster. 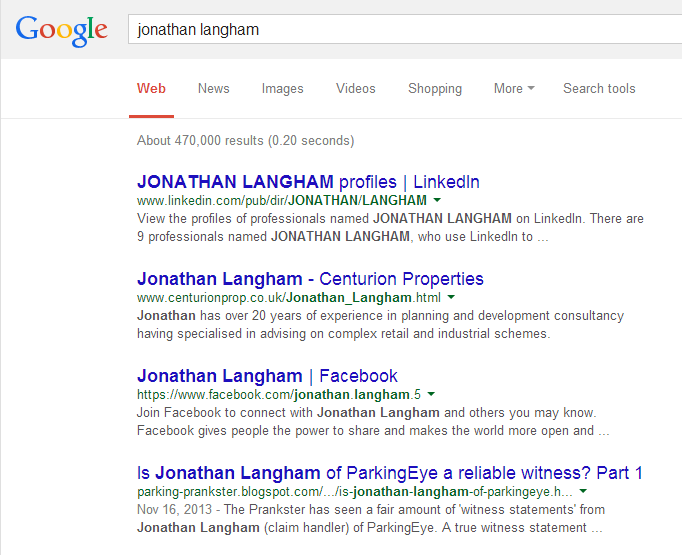 He did write a follow up, 'Is Jonathan Langham of ParkingEye a reliable witness, Part 2', which he forgot to post. He will have to address that at some point. The Prankster would not want to get in the way of any ParkingEye employee who wishes to leave ParkingEye for pastures anew. If any ParkingEye employee is thinking of leaving, or has already left, they can email The Prankster personally to confirm this, giving links to blog entries where their name appears, and the Prankster will do his best to replace them with generic job titles as soon as possible. ParkingEye employees can contact The Prankster at prankster@parking-prankster.com, safe in the knowledge he will not inform ParkingEye they are planning to leave. So for instance, if Alex Cooke, chief enforcer of ParkingEye, found that the public knowledge of his refusal to cancel the parking charge for an 89 year veteran was not helping a career move, the Prankster could helpfully redact his name. Similarly, if Shona Hegarty, Operations Co-ordinator, found the posts detailing car parks where the cameras did not cover all entrances and exits were an embarrassment, The Prankster could leap into action to help any forthcoming career move. Fax Elf stays two more cases. Prankster is troublesome. The fax machine, operated by the Fax Elf, stayed two more cases, this time in Swindon. The Prankster has a report from the defendant in the second case, who said that Judge Darbyshire found the faxed Amicus Curiae pack very useful in the previous case. In the afternoon case, ParkingEye's LPC Law representative was very dismissive of the defendant when they met pre-hearing, but slightly alarmed at the evidence pack he handed into the clerk. This was allowed because ParkingEye did not provide any documents until three days before the hearing. During the hearing the LPC Law representative was scathing about The Parking Prankster, arguing he was notorious and troublesome; a thorn in progressing matters. Judge Darbyshire was having none of this, which was perfectly correct because The Prankster is not the Fax Elf. (Although the defendant did use The Prankster's guide for his defence). Judge Darbyshire stayed the case to await the results of the test case which was heard in Cambridge last month. He ordered ParkingEye to inform him and the defendant the result of the case within 7 days*. He warned ParkingEye that if it goes to appeal he may stay the case again. Judge Darbyshire commented that if ParkingEye lose the Cambridge test case then their business model dies, so much like Credit Hire Cars, this will go all the way to the Supreme Court via multiple appeals. 3JD04329 ParkingEye v Martin (12/05/2014 St Albans). DJ Cross found ParkingEye had no standing to bring the case. After ruling on a number of similar cases, he wondered what ParkingEye had to hide and why they continually refused to show the contract. This case started a long while ago when ParkingEye issued tickets for two overstays in Borehamwood shopping park. The motorist did not bother to appeal. On reflection, this would have been the fastest way to win the case. On close examination of the tickets he believed these 'overstays' had never actually happened. He regularly popped in for a quick lunch and also sometimes visited after work for a brief shop on the way home. He never stayed in the car park on a working day for the whole afternoon. This therefore seemed like a classic case of ParkingEye's flawed ANPR system issuing tickets for one long stay when actually two visits had occurred, and there is a history of such cases in the car park, recorded by the Borehamwood Times. On the 30th July 2013 ParkingEye issued a claim for 'parking without authority on private land'. The usual to-ing and fro-ing of legal documents occurred. On 10th December Mr Martin asked for permission to extend the filing deadline. Judge Cross replied on 12th December and allowed an extension until 23 December. Shortly before the filing deadline, Mr Martin became aware of the ParkingEye v Sharma case, so on 24 December 2013 he wrote to the court quoting several cases, including ParkingEye v Sharma, which he believed were the reasons ParkingEye were refusing to provide a copy of their contract. On 30th December, ParkingEye offered to settle for £115. Mr Martin refused. On 7th January ParkingEye wrote to the court complaining about the late filing on 24 December, and before and asking that they be discarded. They provided a reply which contained untruths regarding ParkingEye v Sharma, stating that DJ Jenkins had scheduled a hearing to decide the matter, whereas he had in fact adjourned a case to allow ParkingEye to replace the claimant with the landowner if they wanted to. They also made the untrue statement that the defence was a template taken from online forums, whereas in fact it was due to the hard work of Mr Martin and The Prankster. ParkingEye also quoted snippets from 10 non-binding small claims court cases, as is their wont.They later refused to supply transcripts. On 22nd Jan 2014 the first hearing was held. One of the older, more experienced LPC law solicitors was taking the case for ParkingEye. The case was delayed, so Mr Martin chatted a bit about the case. The advocate stated he had won the previous case regarding the same car park, but this was in the Watford court, not St Albans. ParkingEye had only booked an hour for the hearing, but with the paperwork for both sides approaching the output of a small country's paper mills, that was never going to work out. During the hearing it emerged the advocate had not brought the contract. He waffled a bit around the landowner witness statement, but DJ Cross took him to task. Mr Martin did very little talking. DJ Cross said he had previously decided on a ParkingEye case and had dismissed it as ParkingEye did not have authority to bring the case. DJ Cross said a contract had to be submitted and adjourned the case to May. He asked Mr Martin what other points needed to be considered and allocated 2.5 hours for the hearing. He ordered ParkingEye to create an indexed bundle and to co-ordinate with Mr Martin so this could be filed with the court. Instead, ParkingEye sent Mr Martin a strange document listing vague contents they would put into the final bundle, and inviting Mr Martin to send his full set of documents. Mr Martin pointed out this was not an indexed bundle. ParkingEye said it was. ParkingEye attempted to narrow the issues to be decided in the final trial by listing issues that 'had already been decided on'. In order to save time at the next hearing, ParkingEye suggests that it would be prudent for the parties to agree the outstanding issues in this case, so that these can be dealt with expediently and in order at the next hearing. As we are in email contact, we contend that it would be sensible to agree on the outstanding issues via email. ParkingEye will then send you a copy of the trial bundle, which you can agree, and which will then be sent to court by 28th February. It would appear as though the Judge is satisfied that ParkingEye has the right to bring this claim, although he requires to see the contract held with the site, which will be provided in due course. We do not consider this to be an outstanding issue, as we believe that the Judge will decide this matter based on the contract that is provided to him. We contend that he is convinced of the legality of the claim, as long as ParkingEye has the appropriate authorisation. It would also appear as though the Judge is with the claimant when considering your claim that you entered, exited and re-entered the car park. We believe that he has stated that he accepts that this is a contractual issue (not trespass) and that he will decide the matter in law on this basis. We therefore do not consider this to be an outstanding issue. Mr Martin pointed out these issues were in no way decided on, and listed the issues still in contention. ParkingEye threw their toys out of the pram and said they would not be filing an index bundle, and that if Mr Martin wanted to submit any documents to court he had to do this himself. Mr Martin wrote to Judge Cross explaining that ParkingEye had not complied with his directions, and asked for the case to be struck out. The Prankster contacted Bargepole to see if he was willing to turn up for the re-hearing. Bargepole agreed, but was slightly alarmed by the paperwork, which was in danger of needing a small warehouse for storage purposes. He stripped the case down and filed a skeleton argument concentrating on the essentials. During the actual hearing Judge Cross started off by saying that he was going to look in depth at the issue of standing, and decide on that first. If the Claimant had standing, the case could continue, and if they didn’t, it would fail. Mr Taylor, the LPC Lawyer, presented the Claimant’s case on that point, and relied on the Appeal Court Judgment in VCS v HMRC, as well as the landholder witness statement. Bargepole argued that because VCS involved pre-arranged parking permits, it was a different type of contract to the present case, and could be distinguished. He also pointed out the lack of compliance with Civil Procedure Rules (CPR) of the witness statement, and suggested that it could not be relied upon. The Defence case relied on various County Court transcripts we had submitted (PE v Sharma, PE v Gardam) and also the Court of Appeal Judgment in PE v Somerfield, where it was ruled that PE could not sue in their own name, and that the monies were due to Somerfield. Everybody was then sent outside for 20 minutes while DJ Cross considered his decision. His first observation was that the claim, on the particulars, appeared to be on the basis of trespass, but in fact it was for breach of contract. He was disappointed that PE had not complied with his previous order regarding the trial bundle and evidence. He then addressed the witness statement issue, saying that their witness statement was ‘sloppy, and a disgrace’. It failed to comply with CPR 18.1 (no full name and address), 18.2 (not all from the witness’s own knowledge), 32.19 (not an original document), and since it was just signed A. Bloggs, there was no way of knowing whether the deponent was male or female. He decided that, as this was small claims, he would allow the statement, but that didn't help the Claimant, because paras. 5 to 12 related to another document (the landowner contract) which had not been served or produced. These clauses were therefore hearsay, and not admissible. There was another document filed, on PE headed paper, which appeared to relate to a continuation of a contract. However, the same comments applied to this, namely that it was about as useful as a chocolate fireguard. The Judge then went on to talk about VCS, and in essence said that the case could be distinguished because of the way in which permits were issued, and because VCS sued for trespass, which was not the issue here. His analogy was that if his neighbour put up a sign and charged people £1 an hour for parking on the Judge’s driveway, he couldn't enforce payment through the courts if someone decided not to pay. (He also, in passing, rubbished the bit in VCS about forming a contract to sell you Buckingham Palace). He mentioned that he had dealt with other PE cases before, and was constantly amazed that they don’t produce the landowner contract in their evidence pack. He wondered what it is that they might have to hide. The Prankster agrees with Judge Cross. ParkingEye do provide their contract in a substantial number of cases. Where they do not, it has been found in a number of cases that this is because they have something to hide, such as Rheidol retail park where there are actually two landowners and not one, or in other cases, where the company names on the landowner witness statement has been found not to exist. In other cases, ParkingEye have redacted areas which have been found to be extremely pertinent in other cases. To re-iterate, ParkingEye have in a large number of court cases submitted contracts where the redacted text is highly pertinent to the case. The Prankster will let Hill Dickinson have the last word, who, he notes, agree that the practice of incorrectly redacting documents is unlawful and improper. What the Dickens is going on? Today The Prankster tells the story of two motorists who went to court on the same day, defending claims from ParkingEye. Both motorists had broadly similar defences, but the outcome was completely different. In Stoke-on-Trent, Mrs Rodgers, turned up for a hearing along with a friend to act as Lay Representative. They had prepared carefully, studying the information on The parking Prankster website, and the two guides published by The Prankster. They also has useful information provided by Phil from parkingticketappeals, and a small rainforest worth of paperwork. They went into the hearing with some degree of trepidation as neither had any prior experience of civil litigation. Mrs Rodgers firmly believed she never actually parked in the car park in question. She drove through it an parked outside the boundaries. ParkingEye operate a flawed system which only covers the designated entrances and exits. if a vehicle drives through the car park and parks elsewhere, then their systems cannot cope. This is not an isolated incident and The Prankster has reported on similar cases in the past. The Guardian had previously run a story on her plight. The defence team prepared themselves for the fight...they were in court for 10 minutes and neither of them said a word. The judge laid into ParkingEye's lawyer (a very pleasant young lady from LPC Law) demanding to be shown evidence that ParkingEye were authorised by the landlord (Eurogarages) to make a charge of £100. There wasa copy of ParkingEye's contract with Eurogarages in ParkingEye's bundle of evidence, but it was heavily redacted and did not include the amount of charge. [Prankster's note; why do ParkingEye redact this? 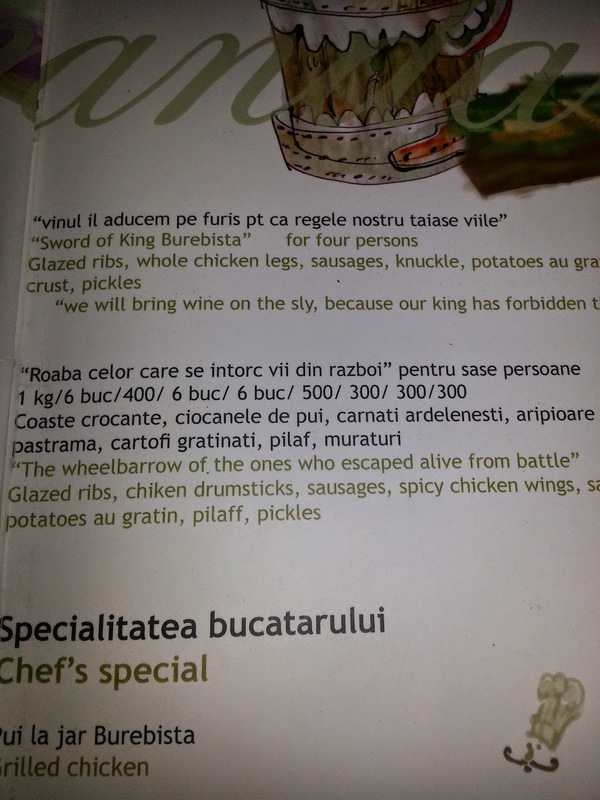 It is hardly secret, being platester all over their signs...unless of course the contract states a different amount!] It was also in very small blue print, fuzzy and virtually unreadable. ParkingEye's lawyer produced a copy which she had enlarged on a computer, but this was only of a small portion of the contact. In addition, it referred to Schedules which were not attached to the contract and which the lawyer did not have copies of. There were also a series of emails with names redacted which had been submitted by ParkingEye after the filing date. These apparently gave ParkingEye permission to increase the charge from £90 to £100. ParkingEye's lawyer did not have a copy of these documents with her, but offered to show the judge on her i-Phone. The judge commented that there was no witness statement referring to this new documentation and no statement of truth. He concluded there was no proper evidence before him that ParkingEye were ever authorised to charge £90. If it was then changed to £100 he would expect it in a proper form containing a statement of truth. The documentation supplied was not sufficient evidence for the court. If the original agreement was not redacted or was in statement form, this may have been acceptable, but today he was being asked to decide on the basis of a blanked out document. As Mrs Rodgers is self-employed he decided not to allow any expenses for loss of earnings, but did allow travel and parking. Afterwards, the defendants spoke to ParkingEye's solicitor about the case. She admitted that the same judge had thrown out a ParkingEye case recently on the same grounds, but on that occasion had heard the case all the way through before throwing it out. This time, he seemed to have decided to speed things up. Mrs Rodgers and her friend sent their thanks to The Prankster and Phil for their help, although as it turns out it was not needed. This was in Pontypridd, which currently is a bit of a graveyard for motorists. There do seem to be isolated courts where it is very difficult to get a judgment in the motorist's favour, no matter how poor a case the parking company come up with. In this particular case, ParkingEye v Mrs A, ParkingEye had been served two different copies of the 'Reply to Defence'. The copy they included in their court bundle was different to the copy originally served. Mrs A turned up at court with another forest worth of paper. She got the feeling very early on that the judge wasn't really interested in what she had to say or point out. The judge accepted the witness statements from Jonathan Langham and the landowner despite the problems with them and the non-compliance with practice directions and the fact they ware admitted to be generic. She paid no heed to the fact that no contract was available and no accounts were available. Mrs A repeated put the point that no contract had been produced. She also explained the signage was not there at the time of the parking event. However, the judge believed the witness statement saying the signs were there. The LPC Law advocate tried to introduce a print-out from pepipoo, but Mrs A pointed out this had not been filed with her, and so this was not allowed. She said that if you park on private land then the onus is on the driver to familiarise themselves with the rules of the car park. Mrs A pointed out that despite this, she enjoyed herself, and although ParkingEye were awarded £190 they will have to accept £5 a month like everyone else as she is on a Debt Management Plan. Mrs A also felt that the judge was too accepting of the Collier case because that was also held at Pontypridd. However, this is sadly normal human behaviour, and to be expected. The moral of the story is that the small claims court is a bit of a lottery. Clarity might come after the test case in Cambridge; but then again, it might not. ParkingEye have cleverly conducted that case in a way which they can argue it is not the same as most of their car parks if they lose; but the same argument also holds for motorists. The Prankster maintains the best way to win at court is never to get there in the first place. Always appeal Parking Tickets, then appeal again to POPLA. If you cannot, then engage the parking company in dialogue, and try and either negotiate an acceptable settlement or get the landowner to cancel. If this doesn't work, go to court with the best defence you can. Sign of the week - Euro Car Parks Tesco epic fail. "It's er, free for 30 minutes as long as you pay us £70 after 20 minutes." 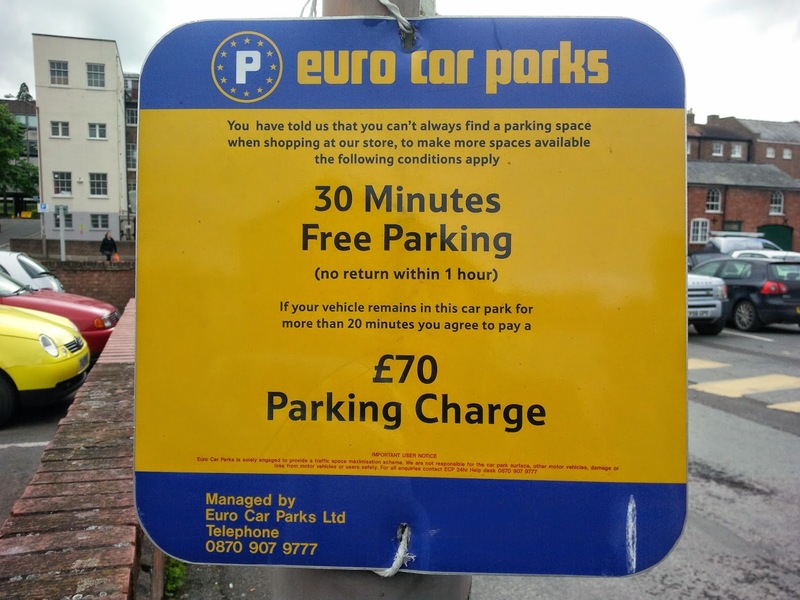 The Prankster has been in contact with Euro Car Parks (ECP) who have clarified that this is not one of their authorised signs. Tesco have been producing their own signs with ECP branded details, but which are not authorised in any way by ECP. Tesco have been asked to stop this practice and agreed as far back as 2012, but there are still a few lingering sites where rogue signs remain. The store in question has now been asked to remove the sign, and ECP will be visiting the site this week for a visual inspection. Tesco still is a client of ECP, so the signage at many stores is legitimate. This should therefore not lead to the assumption that all ECP signs at Tesco car parks are not authorised.